Police were summoned after a passerby noticed the broken glass at 2:38am and called 911. So far, the police don’t appear to have revealed any further information about the robbery. 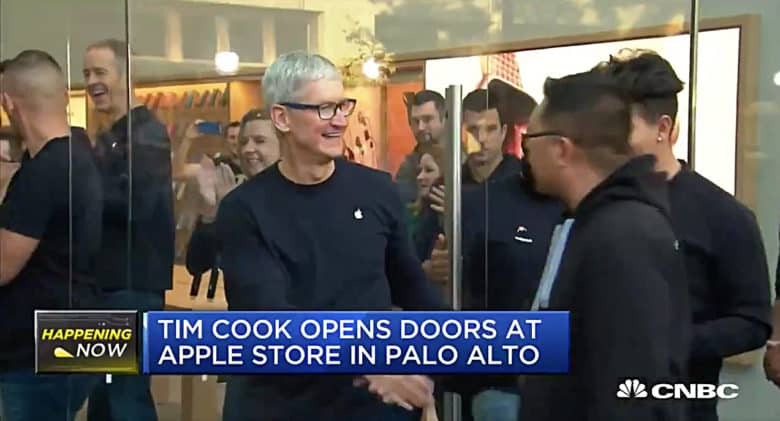 Unfortunately, this isn’t the first time the Palo Alto Apple Store has been targeted. In December 2016, it was robbed when thieves crashed a rented SUV into the glass front door. Around eight to 10 people then entered the store and stole a variety of devices. Police ultimately arrested 9 people. The store was in the news again in September last year. On this occasion it was robbed twice in 12 hours over the weekend, as part of the Californian Apple Store crime spree. In the first instance, a gang of eight males entered the store after 7pm on Saturday, and began snatching iPhones and other devices, before fleeing in multiple vehicles. In the early hours of Sunday morning, the store’s glass doors were then shattered with rocks, and more products taken.